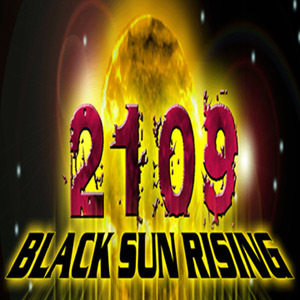 BrokenSea Audio Productions presents “2109: Black Sun Rising”. An original Science Fiction Audio Drama…. Man has reached to the stars and colonized the Solar System. Colonies are set up by all the major governments of the world on outposts beginning with the first research stations on the Earth’s Moon and stretching from Mercury to the NORD 1 COLONY on Pluto. The science of Terra Forming planets is in its infancy and harsh worlds now have breathable atmospheres, and in some cases vegetation has even started to take hold. Utilizing nuclear sciences, the first ships capable of FTL, point 1 faster than light speed, have been built to finally reach out to the stars. Man still believes he is the master of all that he sets foot on. This entry was posted in 1. All Episodes. Bookmark the permalink.